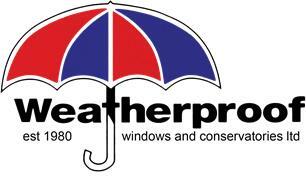 Weatherproof Windows & Conservatories Ltd - Fascia/Soffits/Guttering, Roofer, Windows/Doors/Conservatories based in Hartlepool, Durham. Installers of high quality, affordable, double glazing and replacement windows with styles to suit every house. All our windows are custom built and come with a fully comprehensive 10 year guarantee as standard. Our conservatories are designed to fit your home and the way you live your life. Looking for something unique and special? We are confident we will have something to suit you. Looking to replace the roof on your conservatory? Superlite Warm Roof Perfect for a new build conservatory / sunroom or a retro-fit for that old, tired conservatory roof. Increased Warmth in the Winter. Reduced Sun Heat in the Summer. New build or Retro-fit Solutions. 15 Year Guarantee, for peace of mind. Thick Insulation For Thermal Efficiency (around 100mm). Fantastic Looks (Comes with a variety of Tile finishes, shingle or synthetic slate). We also build, supply and fit bespoke porches and doors. For all your window, conservatory, doors and window needs, look no further and call us today.